Welcome to Mosaic, an organization that is a business consultant in all aspects of the institutional asset management market space. 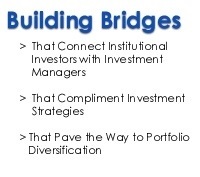 We have positioned Mosaic to be the bridge between institutional investors and outstanding, often largely unknown, investment management and institutional securities brokerage organizations. 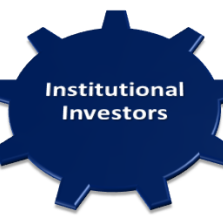 Typically we will coach promising firms to help them reach a state of institutional readiness. 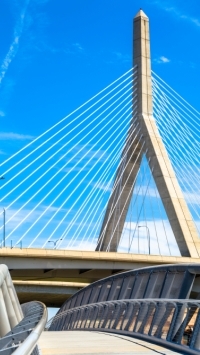 When appropriate and with full marketplace disclosure, we will consult with emerging asset managers to become an extension of their outreach capabilities and help sharpen their organizational as well product focus, positioning, client service capabilities that are desirable and are often required by Institutional Investors. We welcome inquiries from Emerging Managers, Brokers and Institutional Investors about our consulting services. 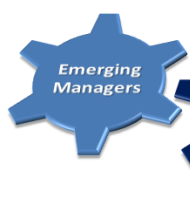 Identifying high potential, emerging alternative and traditional asset management organizations for institutional investors with an appetite for little-known managers and their alpha-generating potential. Mosaic is also well-known for our expertise in working with institutional investors to assist with the identification and engagement of brokers. 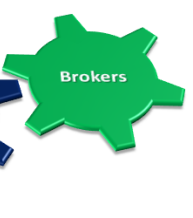 Our work here often includes coaching brokers as a way to increase the level of competitive intensity and keep improving trading and value-add effectiveness. In short, Mosaic will act as an extension of an institutional investor or its consultant to identify and access highly-qualified asset managers or brokers. Alternatively we become an extension of an emerging manager’s outreach capabilities as we help sharpen the product focus, positioning and client service capabilities. When appropriate we can help managers think through issues that can arise during due diligence like ownership, management and comp structure and succession planning. When needed we collaborate to prepare a suitable business plan. Mosaic Global Partners, Inc. is not affiliated with Mosaic Funds.